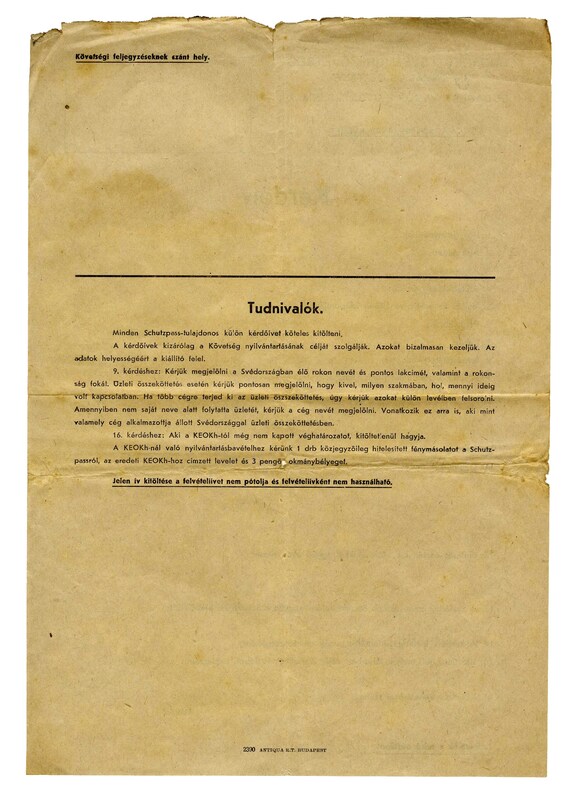 Scarce 1944 document signed by Raoul Wallenberg, the Swedish diplomat who saved thousands of Jews at the close of WWII. 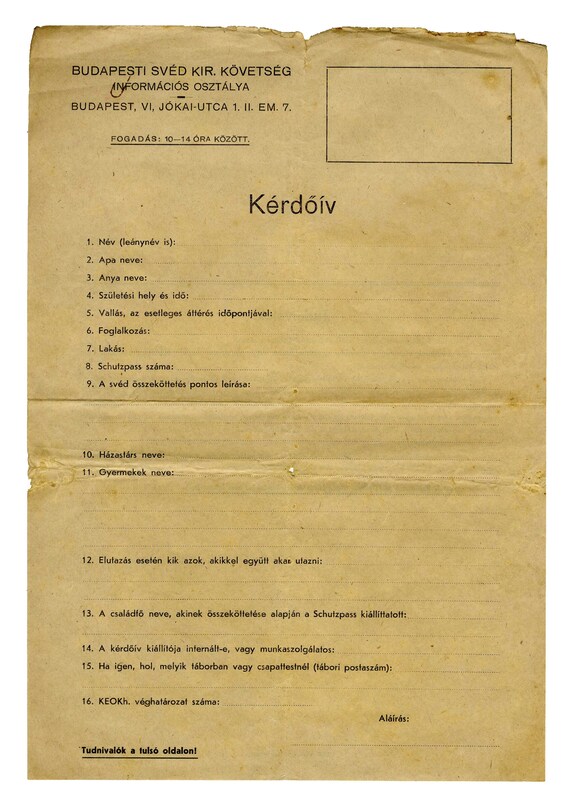 After the publication of a 1944 report detailing the mass deportation of Hungarian Jews to Auschwitz, Wallenberg, a Swedish citizen fluent in Hungarian, was chosen by the United States to lead a relief mission in Hungary. 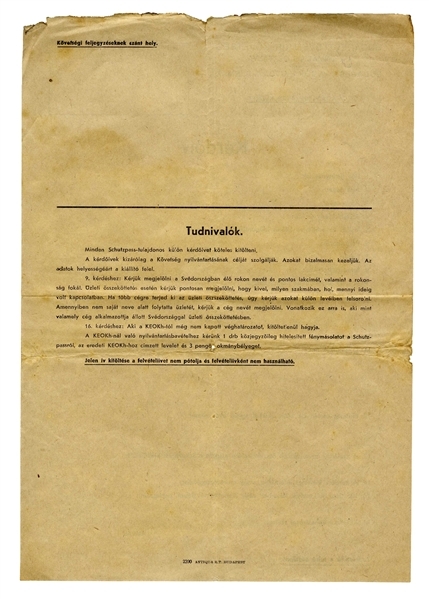 He was to issue fake ''protective'' passports claiming Jewish persons were actually Swedish citizens awaiting repatriation, with the full protection of such citizenship. In early 1945 Wallenberg was taken for espionage and never heard from or seen alive again; before his capture it's believed that he saved 15,000 people in the last months of the war. 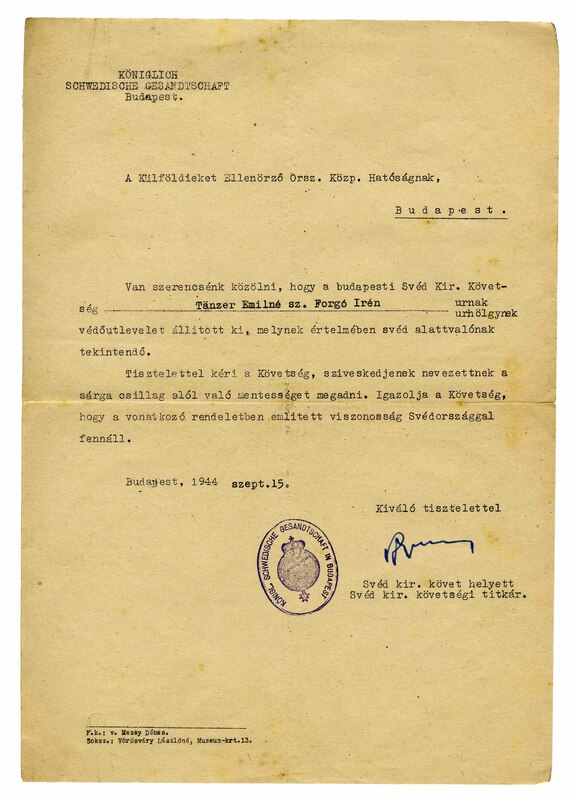 Document from the Royal Swedish Embassy in Budapest is dated 15 September 1944 and confirms that two siblings have been awarded Swedish citizenship and respectfully asks that they be ''exempted from the yellow star''. 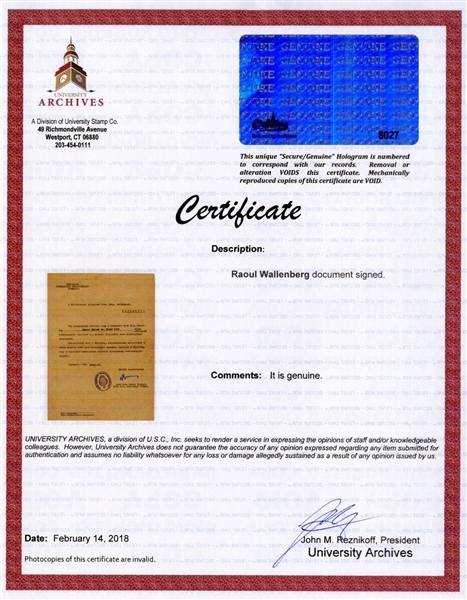 Signed boldly by Wallenberg, with the Embassy's stamp. Folds, light wear with some foxing and toning, overall in very good condition. Accompanied by University Archives COA. 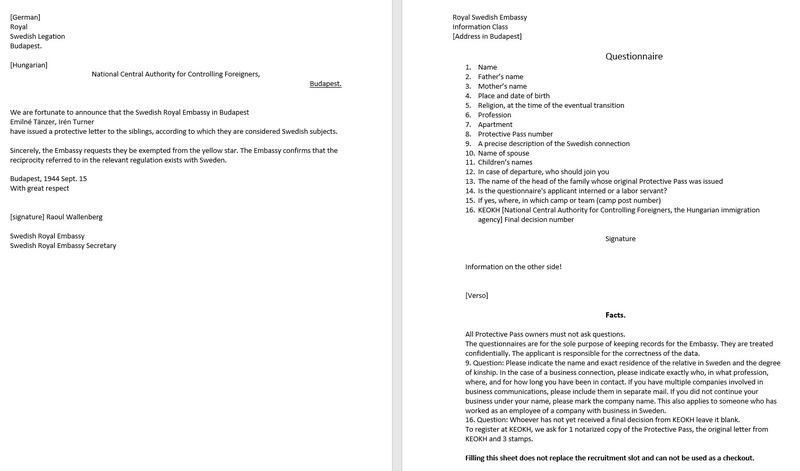 Lot also includes a Questionnaire issued by the Royal Swedish Embassy, in Hungarian, with interesting questions for refugees who have been granted the Protective Pass. Questionnaire states that the answers are for internal purposes only and will be kept confidential. 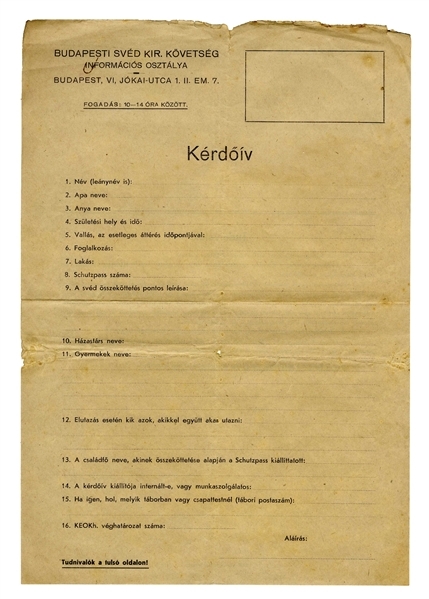 Document consists of 16 questions including one's religion, ''In case of departure, who should join you'', whether the applicant is a labor servant, etc. A piece of warning on the document instructs, ''All Protective Pass owners must not ask questions.'' Folds, chipping along top and paper clip impression, overall very good condition. 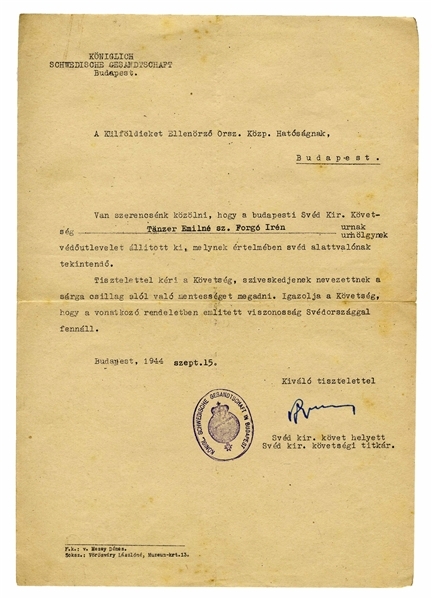 With full translation, and with COA from University Archives.